This is my September monthly spread. Like I’ve said before, I’m a huge fan of the calendar-style for the monthly spread. It allows me to fit a lot of information into each day’s box. I also used google for inspiration for these doodles, and my color scheme was a bit all over the place until I decided on red after coloring in my doodles. Also I switched back to my Zebra Mildliners and markers for this spread. This is my first weekly spread for September, and I switched to a vertical layout this month. This is inspired by Caitlin’s Corner. 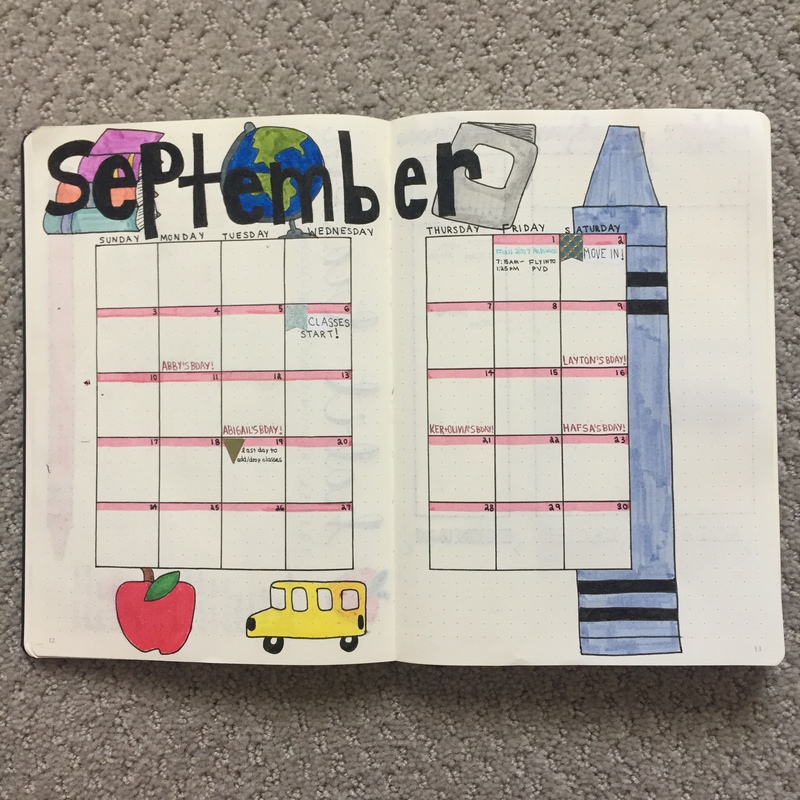 I believe the vertical layout will be better for the school year. I like how the top section is specifically for important events, so they’re easy to spot right away. The rest of the column space will be for my daily schedule and tasks. In the leftover bottom space I wrote down my classes for this semester, so I can keep track of any weekly tasks or assignments for that specific class. This is a One Line a Day and Mood Tracker spread, which was inspired by PlanningWithKay. I used to do a gratitude page spread, but I was really bad about keeping up with it. I wanted to bring it back, and I thought the “one line a day” idea would be easier for me to remember to do. 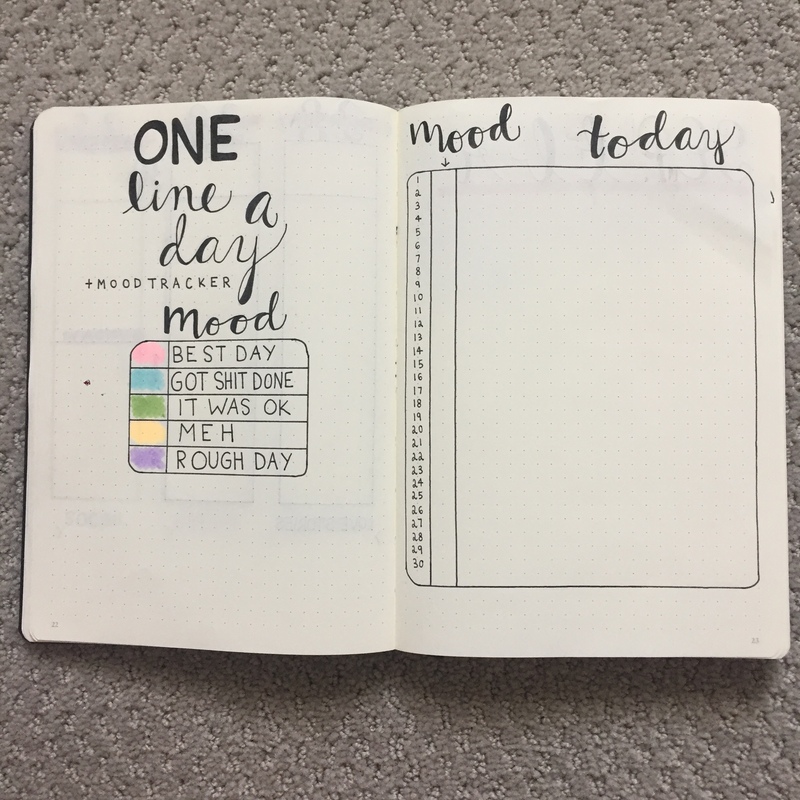 I’ve never used a mood tracker before, but I like the idea behind it and I think it’d be interesting to track. Technically this spread isn’t part of my September layouts, but I thought it’d be nice to share some of my college spreads. This is my class daily schedule spread for my first semester, which was inspired by Caitlin’s Corner. I had a much more elaborate spread last year, but it wasn’t easy to look at. 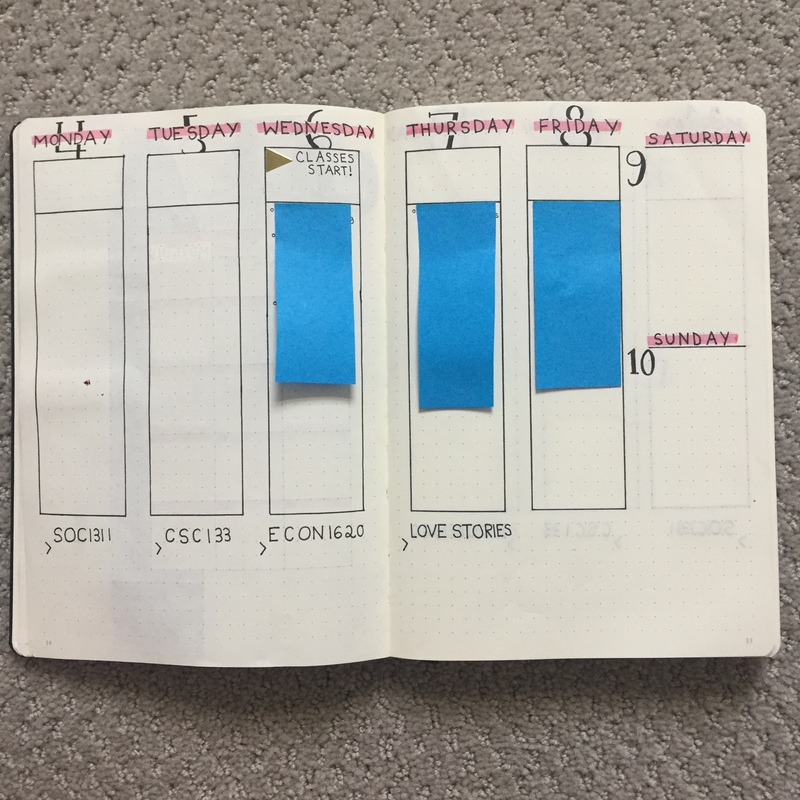 I like the simplicity of this spread, and it makes it very easy to see my class schedule. 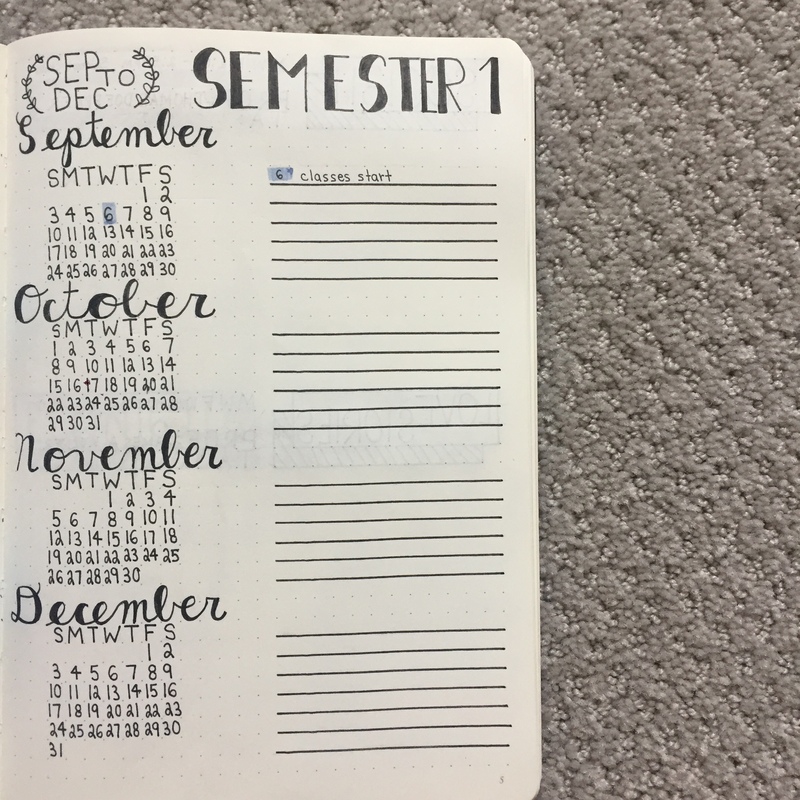 This is my semester overview spread. I used this layout design last year, but I wasn’t the best about remembering to use it. 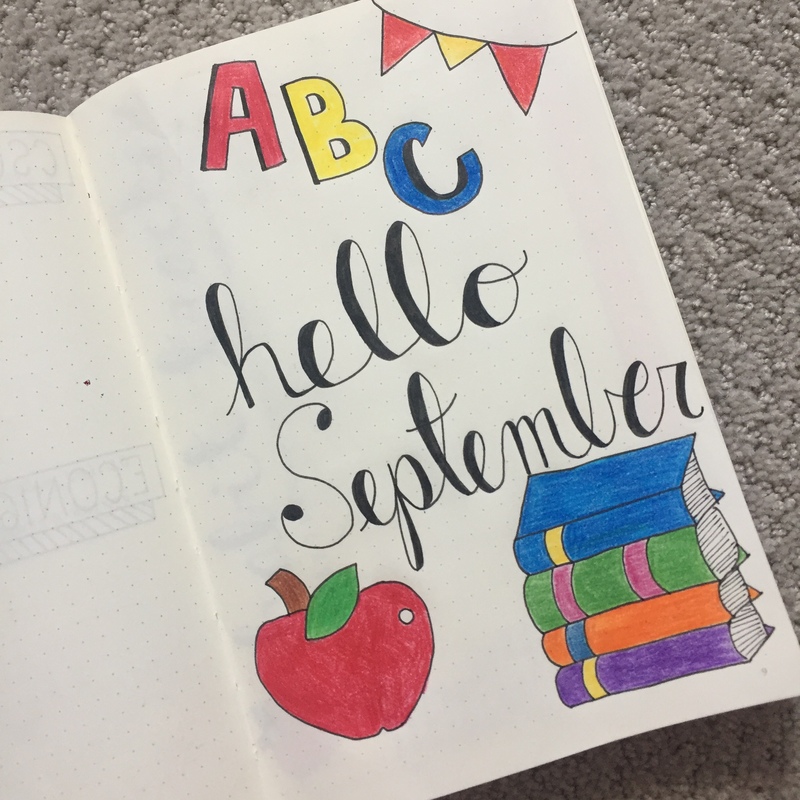 I’m hoping to utilize my bullet journal more this year, and I think this spread will be really good for the school year. It’s a nice way to get a good look at the semester, and it’ll be a good place to quickly glance at upcoming assignments and tests. These spreads were newly implemented in the past two months. 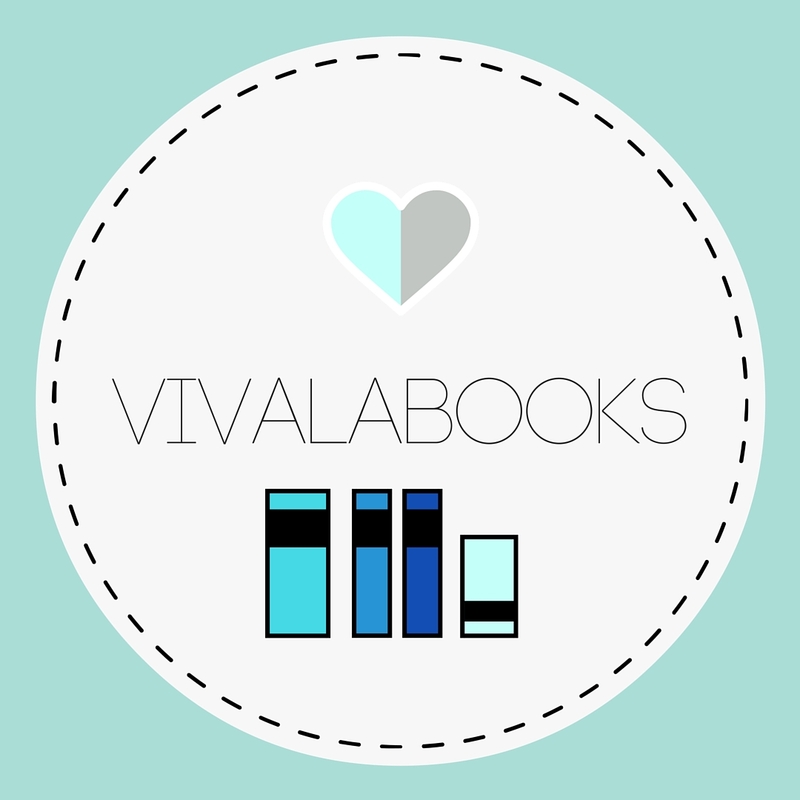 I used a TBR and Blog Ideas page for the first time last month, and they turned out to be really helpful. 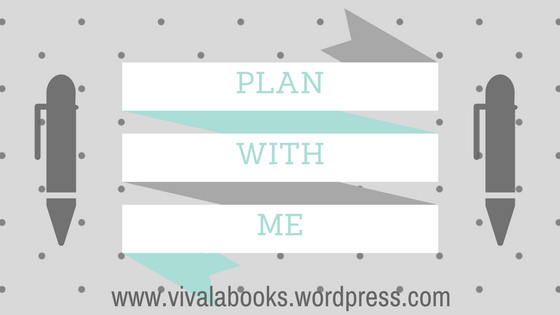 Although I’m not the best a keeping up with a TBR list, it was nice to see what books I was planning to read that month and try to pick from that narrowed down list. 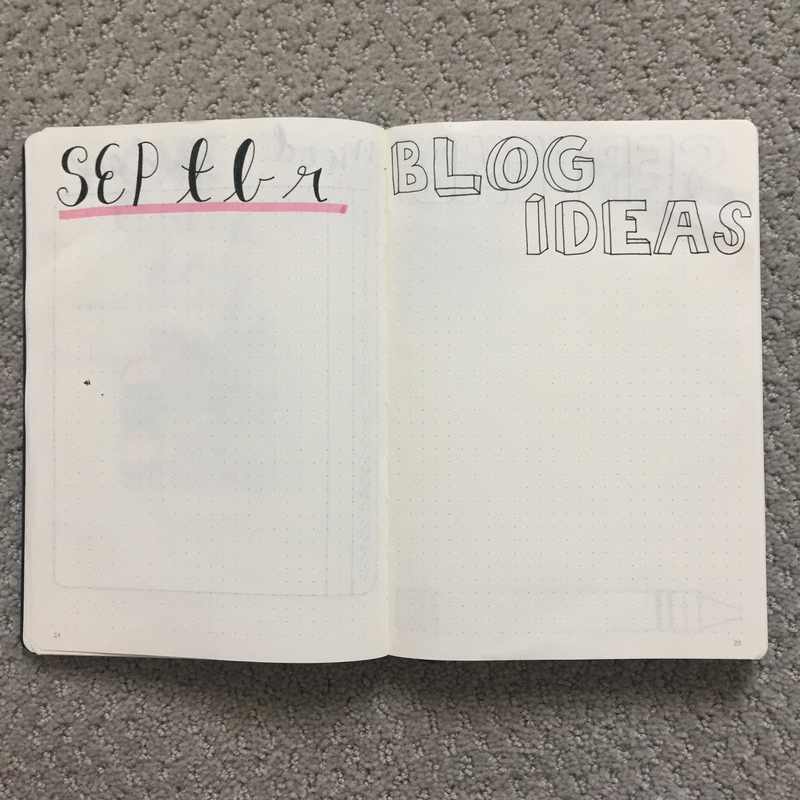 I was a huge fan of the Blog Ideas page, because it really helped me stay organized and keep track of what blog posts I wanted to do. 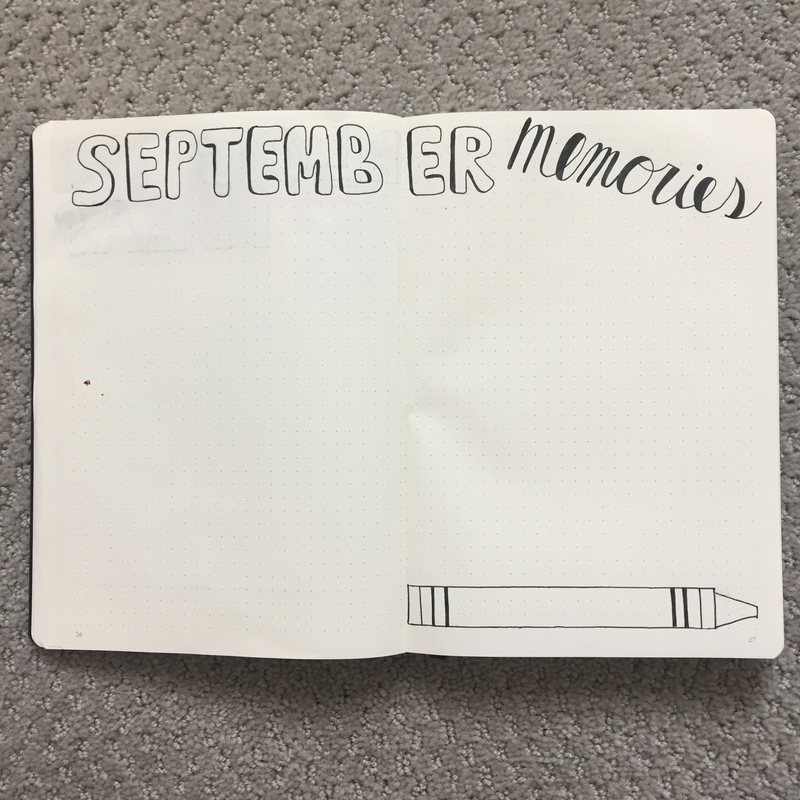 My September Memories spread was a spread I used to do when I first started bullet journaling. I used to draw a doodle for each memory, but it was really time consuming and became impractical during the school year. I got a HP Sprocket Printer for my birthday, and I’ve been using it to print photos to put into my bullet journal. It’s super easy to use, and it prints pictures on sticker paper. 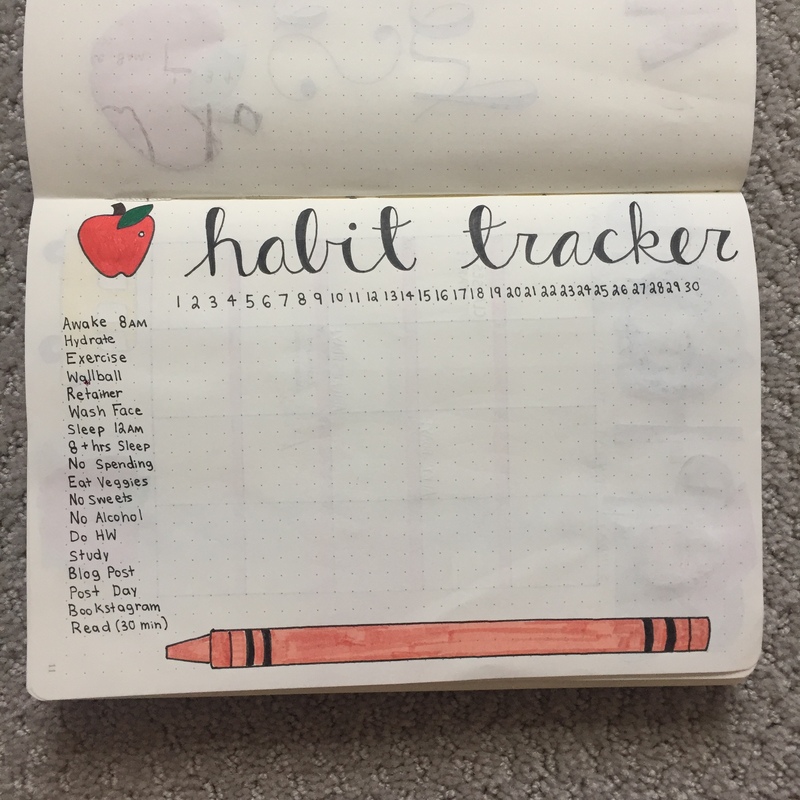 It’s a cute fun way to keep track of all the things I did during the month! Hope you enjoyed getting a peek at my bullet journal! Thanks so much Kelly!!! Glad you’re enjoying bullet journaling too! It’s really addictive and I find it to be so relaxing. 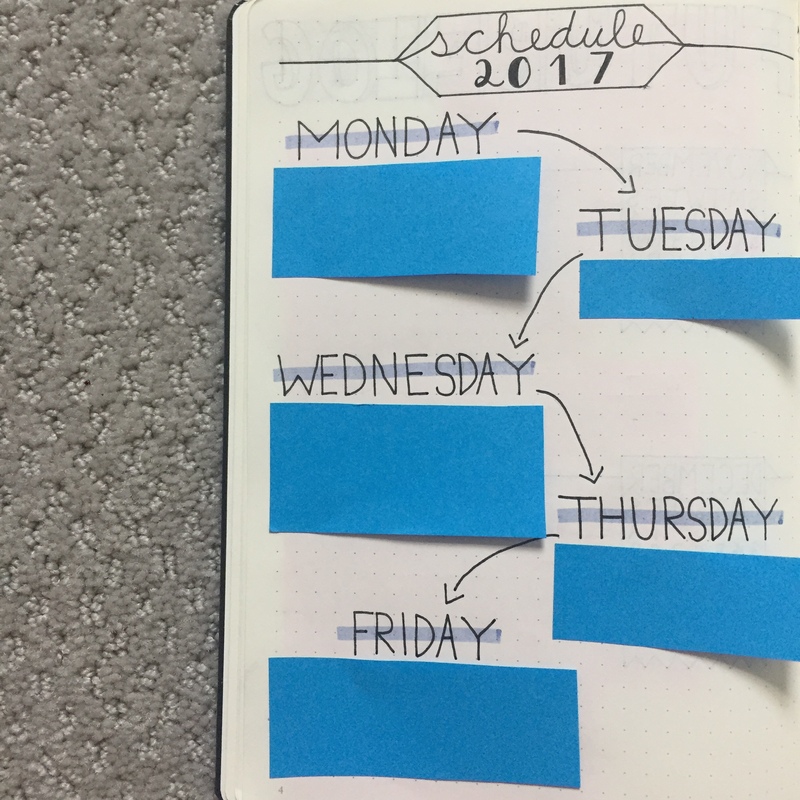 It can be really nice to just sit down and plan out your day/week.